The wide-ranging artwork of contemporary children’s book illustrators earns the spotlight at an impressive exhibit at Brandywine River Museum of Art in Chadds Ford, PA. Guest curator H. Nichols B. Clark has selected art by eight renowned artists, several of whom I’ve featured on this blog: Sophie Blackall, Bryan Collier, Raúl Colón, Marla Frazee, Jon Klassen, Melissa Sweet, David Wiesner and Mo Willems. For any children’s book lover in the Philadelphia area, the exhibit, running through October 9, is a must. Since children, as well as us older ones, often face so many changes and challenges as the new school year approaches, this seems like the perfect time for a reassuring story such as Finding Winnie: The True Story of the World’s Most Famous Bear, which earned Sophie Blackall the 2016 Caldecott Medal. Blackall’s watercolor-and-ink illustrations provide a lively sense of movement, both literally and figuratively, and evoke sweet emotional connections among loved ones. The connection between children and their stuffed animals or similar toys is often psychologically rich and deserves attention and respect. This title taps that vein and adds an interesting realistic angle, as well. The mother tells the boy the story of veterinarian named Harry Colebourn, who, while heading off to serve in World War I, encountered a trapper with a baby black bear at a train depot. Colebourn, wanting to rescue the bear, bought it and took it across Canada to the army base in England. He named the bear Winnie, short for Winnipeg, his hometown. Winnie made himself at home, but when the troop had to ship out to France, Colebourn managed to find his pet a new one, at the London Zoo. In time, a father and his son, Christopher Robin, visited the zoo, and the boy couldn’t get enough of the bear. His father, A.A. Milne, began to spin stories about the bear, whimsical stories that went on to garner a coveted spot at many a child’s bedside. 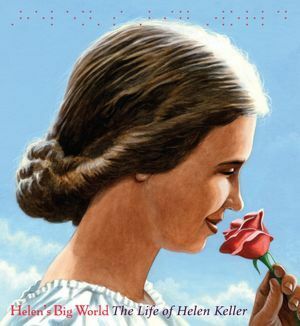 This endearing true story, told by Colebourn’s great-great granddaughter, has enough substance for upper elementary students, while also sweeping up younger ones. 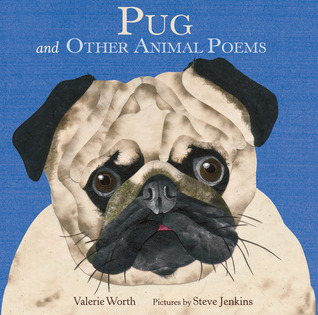 Versatile poet Marilyn Singer has again teamed up with Canadian illustrator Josee Masse to create a vivid collection of brief poems that promise to appeal to a broad array of children. As with her two previous titles featuring reverso poems, a form Singer devised that employs pairs of poems that can be read line-by-line in two opposite directions, Echo Echo: Reverso Poems about Greek Myths plays with perspectives, short lines, accessible language and lively content. This intriguing format proves to be a particularly apt approach for the subject of Greek mythology, so resonant with dual perspectives and dramatic conflict. Singer’s polished poems provide one point of view on the left-hand side of a page and an opposing perspective in the other half. Visually, too, each side stands out, as the text of one poem employs white text against a vibrant Aegean blue, while the other displays the opposite combination. 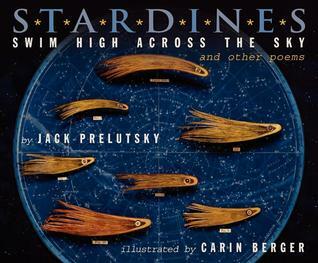 The fourteen pairs of poems, complemented with Masse’s bright, energetic full-page acrylic illustrations, feature the famous myths of Pandora and the box … the rivalry between Arachne and Athena … King Midas and the daughter he turned to stone … Perseus and the slaying of Medusa … Bellerophon and his capture of the winged horse Pegasus … the self-absorbed Narcissus and Echo (a highlight of this collection) … Pygmalion and the statue Galatea … Theseus and his escape from the labyrinth thanks to Ariadne … Icarus and Daedalus … Melanion and Atalanta and the three golden apples … and the tragic stories of Demeter and Persephone and of Eurydice and the musician Orpheus. My previous post on Singer’s Mirror Mirror and on poetry collections that celebrate nature. If you’ve ever heard the song “Christmas in the Trenches” by folksinger John McCutcheon, y ou will remember it. It’s become part of my Christmas tradition after hearing it on a local college radio station in ’84. In his beautiful picture book Christmas in the Trenches, McCutcheon has adapted his touching song about the Christmas Truce of 1914 for older children. The story’s narrator is an elderly man named Francis, who tells his grandchildren of the unique Christmas he experienced as a young soldier in WWI. The soldiers in the trenches were bored and homesick on Christmas Eve. Suddenly, they heard German voices singing Christmas carols. The English soldiers decided to join in on “Silent Night,” an act that inspired a German soldier to cross No Man’s Land with a white flag and a Christmas tree. The two sides called a temporary, informal truce. Sorensen’s atmospheric oil paintings highlight the unexpected night of peace with a double-page spread showing the soldiers and the battlefield. Included are an author’s note, music notation, and a CD with the title song and “Silent Night/Stille Nacht,” along with a reading of the story. 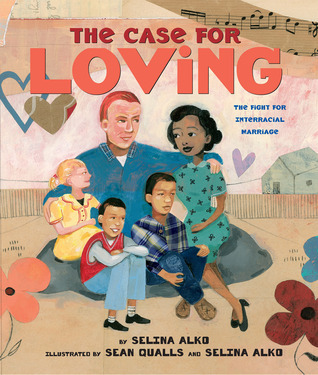 This sensitive picture book won a 2007 Notable Social Studies Trade Books for Young People. For older children who want to learn more about the event, show them Jim Murphy’s Truce: The Day the Soldiers Stopped Fighting (Scholastic, 2009). Murphy gives an accessible overview of WWI and focuses on how peace was briefly restored when troops defied orders and met their enemies in the barren land between the trenches. Archival photographs, maps, and artwork help children understand the events. 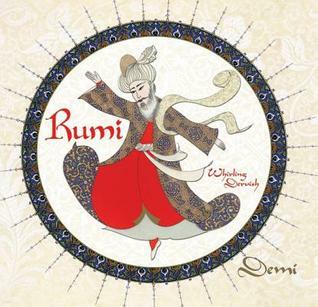 Light suffuses this unusual picture book created by acclaimed author/illustrator Demi and poet Coleman Barks, celebrated for translating and popularizing the mystical writings of the 13th-century Persian poet known as Rumi. 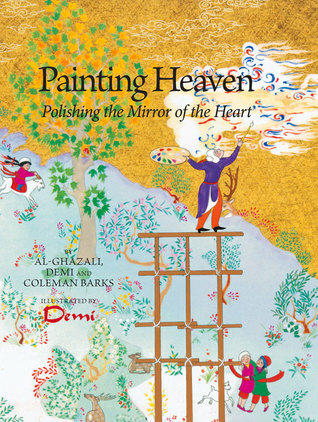 With its golden cover flecked with small figures of painters and children dressed in rich hues of scarlet, emerald and violet, Painting Heaven: Polishing the Mirror of the Heart beckons readers to a numinous landscape. Based on a story in the renowned Muslim philosopher al-Ghazali’s The Revival of the Religious Sciences, this children’s book invites young and old to ponder the multifaceted nature of reality, spirituality, and beauty. Intrigued by this extraordinary claim, the king proposes a contest. The Chinese artist will compete with five of the Byzantine kingdom’s best painters, and in six months they will all submit their work to be judged. The ensuing contrast between the king’s chosen artists and the Chinese painter unfolds with humor and a sense of wonder. The Byzantine painters pile on the rainbow colors, images of the sun and moon, children and animals, and “everything on earth in perfect detail.” The Chinese man, however, asks for no colors and no brushes. Instead, he requests just polishing tools and cleaning rags and every morning, disappears behind a curtain to work all day. The perplexed king assumes the man must be crazy. At the end of six months, the king encounters the expected—bright, gorgeous paintings by his kingdom’s artists—but also the unexpected splendor of the visitor’s work. Sharing the king’s surprise, readers will likely gasp as they view the Chinese man’s polished, sparkling work of art. Here, Demi delights her audience by showing the blissful visitor on a shimmering silver page reflecting the brilliant colors of the book’s opposing image. 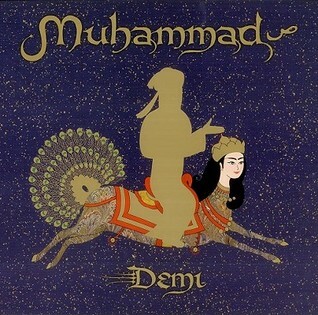 Perhaps some will disagree with the king’s judgment, but Painting Heaven provides a singular opportunity for readers to glimpse the ancient wisdom of an Islamic philosopher who has urged humans to “polish their hearts” so they can appreciate both the visible and the invisible world. 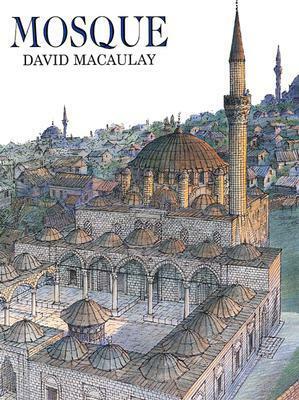 Older readers, theologians and educators will appreciate the book’s inclusion of the translated story by al-Ghazali, a poem by Coleman Barks inspired by the tale, and passages from The Marvels of the Heart, Book XXI of The Revival of the Religious Sciences. Illustrator Julie Paschkis (Through Georgia’s Eyes, 2006, etc.) 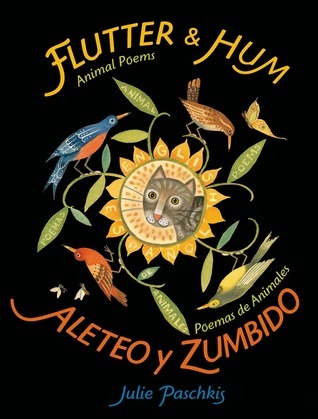 taps her characteristic vibrant folk-art motifs to enlarge the space for joyous wordplay in her sprightly new bilingual poetry collection Flutter & Hum/Aleteo y Zumbido: Poemas de Animales. Paschkis’s collection of 12 brief poems, complemented with vivid double-spread illustrations rendered in gouache, glimmers with surprising suppleness. In “Snake,” or “La Serpiente,” the 11-line poem secretes numerous “s” sounds, and her grassy images of twisting tendrils slip in words such as swerve, subtle, shy, and swallow. On the opposing facing page, she highlights such alliterative Spanish words as sombra (shadow), sabia (he/she knows), sorpresa (surprise) and solo. As most of these do not appear in either the English or Spanish poem, they act as extended riffs on the child-pleasing poetry. For her playful poem “Turtle/La Tortuga” Paschkis focuses on the shell as a secret vault of enchantment: “The turtle hides/in her shell./But maybe there is space,/a place/for hidden treasure.” Embedded in the hard shell are drawings of gems, locks, and keys, while copious pointy teeth embellish the shell’s border. On the English half of the two-page illustration, the shell reveals such words as glow, inside, glisten, while the right-hand side gives us the Spanish gema (gem), adentro (inside), and lustra (he/she polishes). Unhurried, curious readers will relish the correlation between the Spanish words and various related English words. 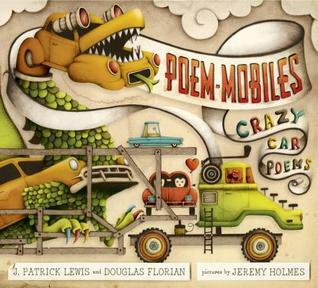 This energetic interplay of art and poetry lends itself to multiple creative uses—choral reading, acting, musical adaptations—as well as leisurely literary romps and reveries. Reprinted with permission from the New York Journal of Books. 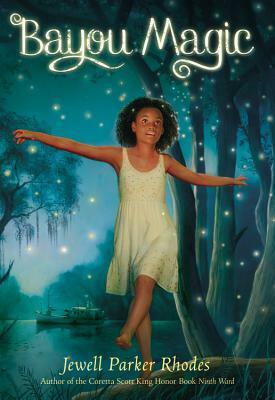 Maddy’s big sisters have warned her about going to Grandmère’s home deep in the Louisiana bayou. It’s boring, they say; there’s no TV, no mall, no microwave, and no indoor plumbing. Not only that, Grandmère’s a witch. Ten-year-old Maddy has a mind of her own, though, and anticipates adventures far from the glass and concrete world of New Orleans. The magic begins on the car ride to the bayou. When a firefly perches on the rim of the car door, Maddy’s imagination is fired; surely it’s some kind of sign. Grandmère doesn’t look like much of a sage. She’s tiny, “bird-boned,” with “bright-white curly hair, luminous like the moon.” Maddy and her grandmother settle into a cozy routine of humming together, collecting eggs from the hen, doing dishes, and sitting on the porch. As the days pass, Grandmère tells Maddy stories about her ancestors and teaches her important principles such as … respect yourself … pay attention … and leave space for imagination. Under Grandmère’s guidance, she will, over the course of the summer, discover her own power, her place in a long line of Lavaliers, and an enchanted land replete with helpful fireflies and mermaids. Perhaps best of all, she meets a wiry, energetic boy called Bear, and the two form a strong bond as they run around, get dirty, and explore the bayou together. Her adventure, or at least her imagination, takes off the day she sees a mermaid rise from the dark waters. Middle-school girls with a fanciful flair will snap up this novel imbued with magical mystery and a young heroine’s hopeful imagination. Reprinted with permission from New York Journal of Books. 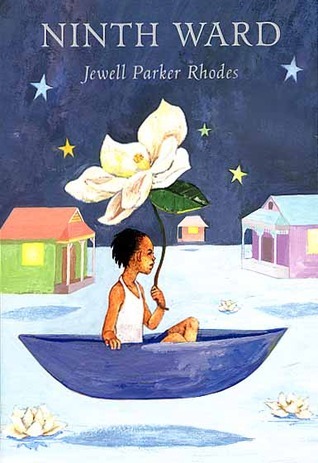 Don’t miss Jewell Parker Rhodes’s thoughtful comments on diversity in children’s literature. And see my previous post on Sugar, winner of the Jane Adams Peace Association book award, and check out the author’s Coretta Scott King honor book, Ninth Ward. Emmanuel Ofosu Yeboah was born with just one leg in rural Ghana, but he defied people’s low expectations by bicycling 400 miles across the country and thereby raised awareness for disabled people in Africa and around the world. The engrossing picture book Emmanuel’s Dream opens with his birth: “Two bright eyes blinked in the light,/ two healthy lungs let out a powerful cry,/ two tiny fists opened and closed,/ but only one strong leg kicked.” With childlike, expressive mixed-media artwork, acclaimed illustrator Sean Qualls (Dizzy, 2006) reveals the precarious nature of the baby’s world: the father stoops in despair, while the concerned mother gazes at him, knowingly. Then we read how people in Ghana considered those with disabilities as worthless, or even as a curse. The baby’s father abandons the family, but the mother, Comfort, graces her child with the name “Emmanuel,” which means “God is with us.” She focuses on her son’s abilities rather than on his one shriveled leg. In time, the child learns to crawl, then hop, then climb coconut trees and fetch water. Mama Comfort carries him to school until he gets too heavy. After that, Emmanuel hops the two miles by himself. With his sharp mind and bold heart, Emmanuel concocts an unusual plan to honor her memory. He would show Ghanians he could accomplish a seemingly impossible feat: ride a bike nearly 400 miles across the nation. We see Emmanuel, his right leg tied to the bike frame and his left foot on the pedal, riding “up, down, across, and around his country, proudly wearing the colors of its flag on a shirt printed with the words THE POZO, or ‘the disabled person’.” And as he bikes, he attracts more and more attention. The children come to cheer; people with disabilities escape their stifling home to greet their hero. 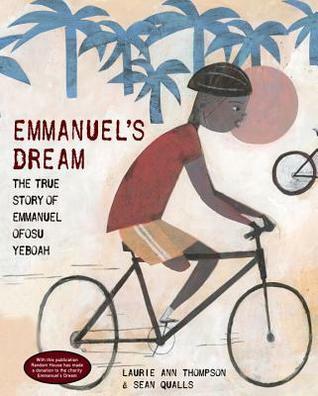 In 10 days, Emmanuel proves his ability to accomplish his goal, but his journey continues. In the author’s note, Thompson points out that Emmanuel maintains a scholarship fund to help children with disabilities attend school, and he speaks to government officials and others about the need to pass laws protecting the rights of disabled citizens. 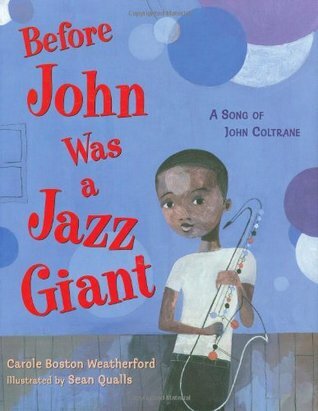 Trust me; you’ll be glowing along with your audience as you share this inspiring, true story with children ages 6 to 9.